We are extremely pleased to announce the opening of our new location in Medicine Hat. Currently in our trailer division we have lowboy and highboy flat decks, enclosed cargo and auto trailers, dump trailers, utility trailers, AirTow Level Load trailers, Ag transport trailers (including combine and sprayer), snowmobile trailers and tilt trailers, all of which come in either bumper pull or gooseneck configurations. We rent trailers as well, along with agriculture equipment such as heavy discs, grain vacs and post pounders. For agriculture equipment, we are in the business of saving you money on some of the bigger ticket items such as bins (hopper top and flat bottom), augers, conveyors, grain carts, heavy breaking discs, and everything in between. 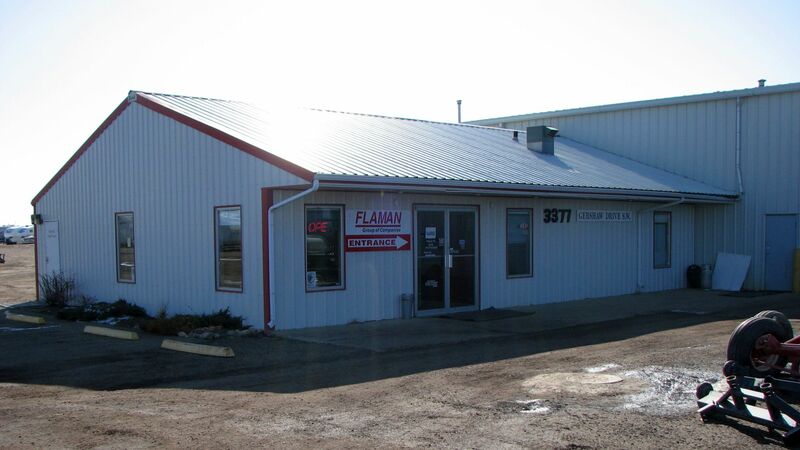 The new location offers us a larger 7,000 square foot building, a larger yard for storage of our equipment, and a much more convenient service department to service everything we rent and sell. Being one of our newer stores to open, we are fully dedicated to servicing your needs as the customer, and we can't wait to do business with you. So please make sure to stop in to the new location and pay us a visit, the coffee is always on and there's always someone here to give you a hand.